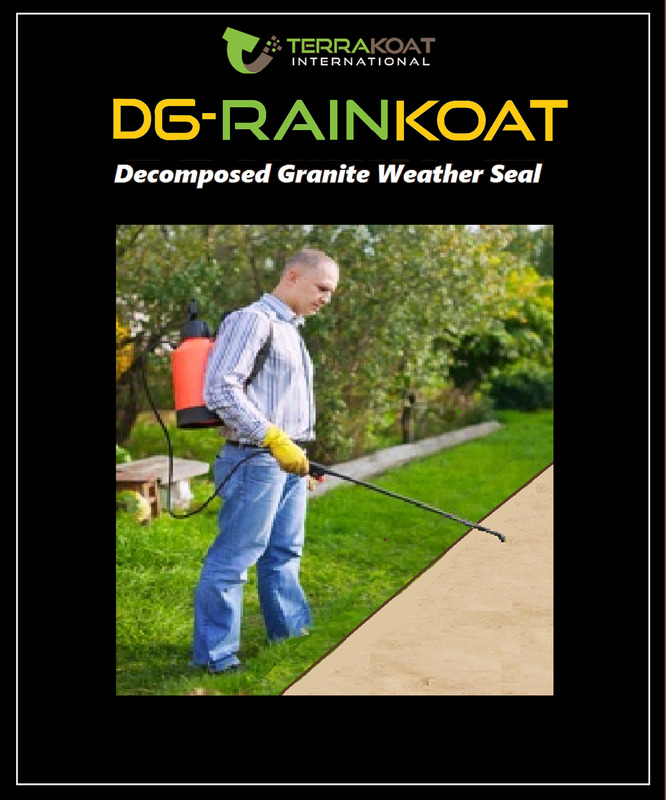 Maintain the beauty of your Decomposed Granite and extend the life of your DG with DG-RainKoat. 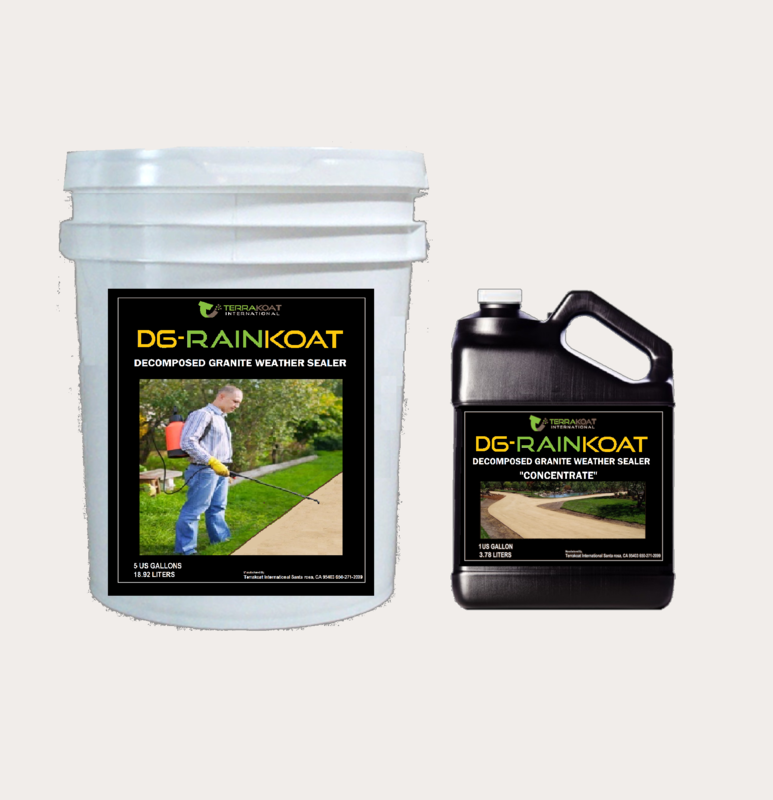 DG-RainKoat is a spray on weather shield that protects decomposed granite or any other landscape surface from winter weather conditions. If you have a DG Pathway, Patio or Driveway. DG-RainKoat is an absolute must have. The beauty and natural look of a Decomposed Granite Garden Path, patio, trail or driveway is undeniable. But in the rainy season your beautiful DG starts to wash away and the surface begins to erode. 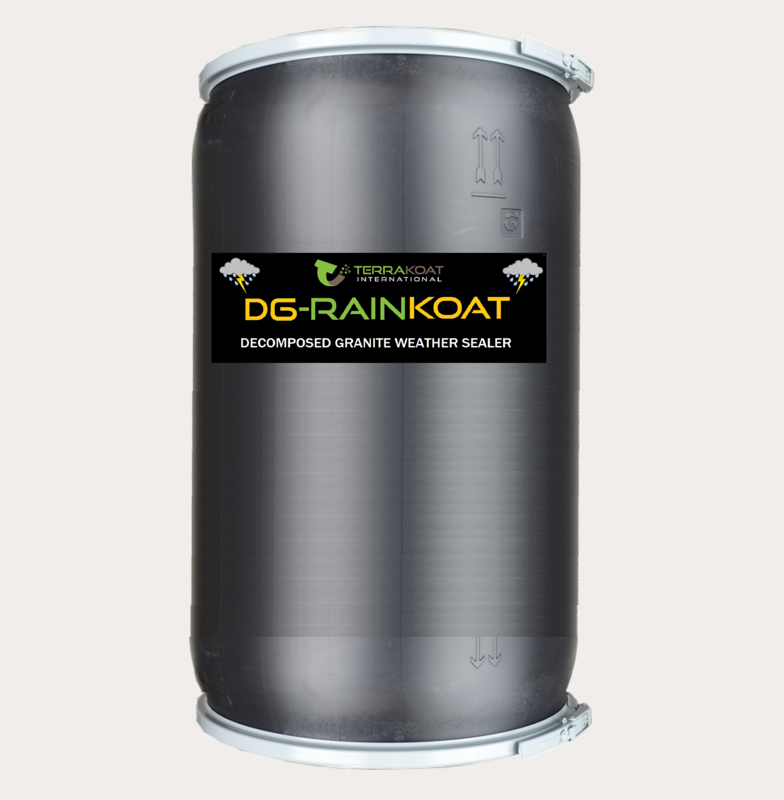 DG-RainKoat puts a protective shield over your DG that not only limits the of moister that soaks into the DG. It also reduces the impact damage caused by heavy rains. Great coverage 60 sqft per gallon. No special tools or skills required to apply. Application Instructions. Remove any loose debris from the DG Surface. Using a pump type garden sprayer apply DG-Rainkoat at the Rate of 60 sqft per gallon. For additional protection A second coat can be applied. 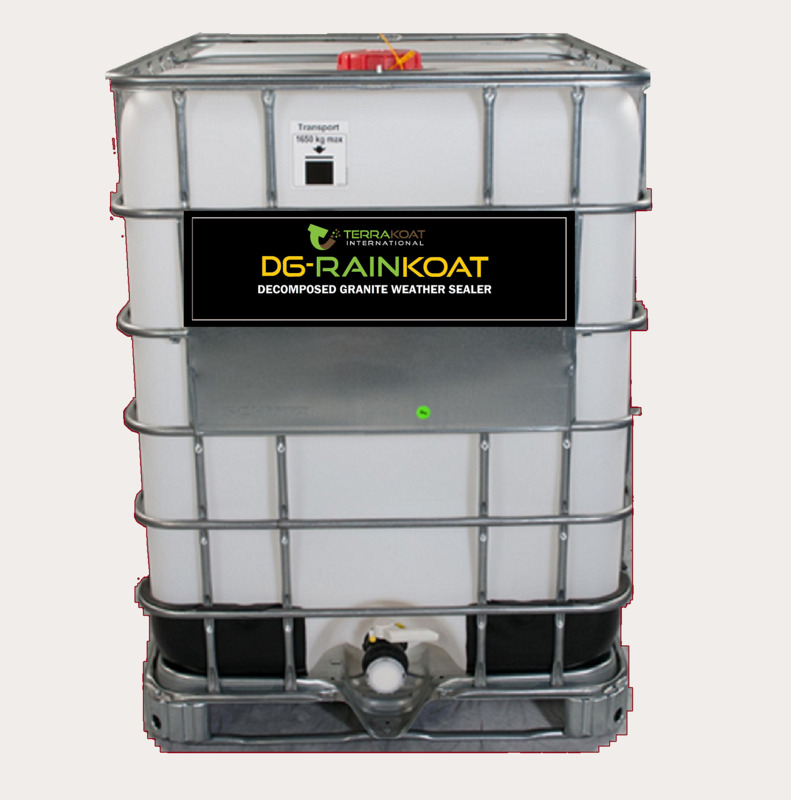 Orders shipping outside the Santa Rosa area will receive DG-RainKoat Concentrate. Be sure to add 4 parts water to 1 part concentrate before use..
Orders usually ship within 1 to 2 business days. DG-RainKoat is made to order product therefore all sales are final.